Good news for Nokia fans as the company’s new Android powered devices might soon be getting the company’s own set of apps that were previously available on its Windows Phone powered devices. Nokiamob.net reports that Nokia’s parent company HMD, now hold about 500 of the company’s design patents that were previously owned by Microsoft. The website notes trademarks such as PureView, ClearBlack and PureMotion still belong to Microsoft, but there is a possibility that they may be transferred as well. However, one of the designed patents acquired by HMD is for the Lumia Camera UI. 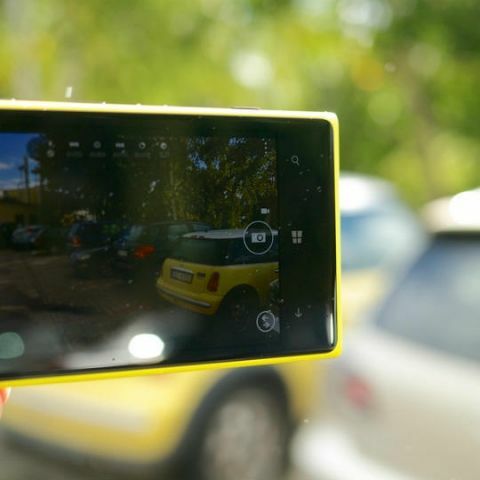 The UI was introduced with the Nokia Lumia 1020 and offers easy access to camera controls like ISO, focus, exposure and more. The app was later made available to other Lumia devices. The introduction of Nokia’s own apps to its Android smartphones should make them more appealing in the face of stiff competition. The company currently has three device available in the market, namely the Nokia 3,5 and 6, which are priced at Rs. 9,499, Rs 12,899 and Rs 14,999 respectively. Nokia is also tipped to launch its flagship smartphone on August 16. Dubbed the Nokia 8, the phone has been leaked numerous times and its official page was briefly made live a few weeks ago. The device is tipped to come with a dual-camera setup, which would be a first for the company. Considering the camera centric nature of the phone, it is possible that the company may launch the camera centric UI alongside the device. Best phone from Nokia ?